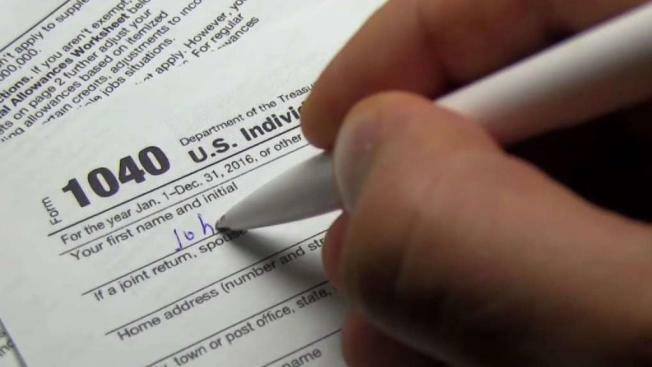 Experts say 20 to 25 percent of Americans wait until the last 14 days before the deadline to prepare their tax returns. April 15 is a day on the calendar that some dread. If you haven’t filed your taxes yet, you’re probably not alone. In fact, experts say 20 to 25 percent of Americans wait until the last 14 days before the deadline to prepare their returns. Whether you’re sitting down with a tax preparer or filing from home, make sure to have all of your tax documents. If you’re using a tax preparation software, limit any distractions and follow the instructions closely. “The application does the work. You just have to make sure that you’re putting the numbers in correctly and that you’re filling out all of the forms,” said Elizabeth Horton Sheff, a local tax preparer. Sheff says the tax software is built around the new tax laws. “With the new tax law, there is a possibility that your refund will be lower that it was in previous years,” said Horton Sheff. Also, it’s not too late to make a few last minute moves that could trim your bill and save you money. Make an IRA contribution: You can deduct up to $5,500 in IRA contributions and add another $1,000 “catch up” contribution if you’re over age 50. 401K plan participants can still fully deduct IRA contributions if your adjusted gross income is less than $63,000 for singles, or $101,000 for married couples. Contribute to a health savings account: If your health coverage for 2018 was considered a high-deductible insurance plan, you can still contribute to a health savings account and claim it as a deduction on your 2018 taxes, regardless of your income. But you’ll need to set up an HSA and fund it before tonight’s filing deadline. Write off business expenses: You should file a Schedule C tax form. As a general rule, freelancers can write off expenses for business-related meals, lodging, office expenses and required equipment or materials. Add up dependent care costs: Parents can claim up to 35 percent of their child care expenses yearly or up to $3,000 for a single child and $6,000 for two or more kids. The credit, which varies depending on the taxpayers’ earned income, only applies if you are single and working, or if both parents are working. If you need more time, get an extension: That would give you until October 15 to submit your 2018 return. While that extension grants additional time to file, tax payments are still due. Another thing to watch out of – fraudsters. Last year, the IRS stopped more than 600,000 identity theft tax returns. But fraudsters are now targeting tax professionals, human resource departments and anyone who handles payroll. If you’re a victim of identity theft, file a police report, contact the IRS, all three credit bureaus, document everything and stay in contact with the IRS. Do you have a story idea? We want to hear from you! Fill out the complaint form on the NBC CT Responds page or call 844-303-RESP, (844) 303-7377. More #NBCCT Responds archive here.